(ACDA) Taken literally, this term indicates people over the age of eighteen, who have at least one biological parent with severe and repetitive life problems with alcohol. Because of their genetic and familial relationship to an alcoholic, these people carry an increased risk of severe alcohol problems themselves (a probability of two to four times that of children of nonalcoholics). Probabilities also indicate that they are not more vulnerable to severe psychiatric disorders (such as schizophrenia or manic depressive disease) and that they do not carry a heightened risk for severe problems with some drugs of abuse (such as heroin). Nevertheless, it is possible that when children of alcoholics reach adolescence or adulthood, they might be slightly more likely to have problems with marijuana-type drugs or with stimulants (such as cocaine or amphetamines). It has also been observed that if their childhood home has been disrupted by alcohol-related problems in either or both parents, the children may have greater difficulties with a variety of areas of life adjustment as they mature or go off on their own. 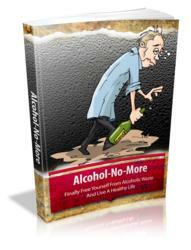 The label Adult Children of Alcoholics has been given to a self-help group, often abbreviated as ACOA. Within the group, people with at least one alcoholic parent can meet with others for discussion, the sharing of old and current experiences, and the chance to find interpersonal support— which helps place their own individual experiences into perspective. People who join this voluntary organization are likely to be those who both feel impaired and seek help toward coping with their past and/or present problems. The term ACOA has also been thought to describe a group of characteristics of individuals who grew up with alcoholic parents in the home. There are research projects that do indicate that such men and women have a greater than chance likelihood of having problems expressing their feelings, feeling comfortable with intimacy, or in maintaining long-term relationships including marriages. There are less data to support conclusions regarding a possible association between an ACOA status and problems with developing trust, impairment in feelings of well-being and achievement, enhanced feelings of a need to rescue other people when they are in emotional or psychological distress, excessive feelings of a need to control a situation, and a more global dissatisfaction with life and current situations than would be expected from chance alone. While common sense would dictate that being raised in the home of an alcoholic individual might contribute to problems with intimacy and cause levels of psychological discomfort, most of the existing studies do not control for important factors in attempting to draw conclusions. For example, it is well established that children of alcoholics are much more likely to develop alcoholism themselves, with the possibility that many of the characteristics being described relate to the consequences of their own alcohol problems as they developed. A second problem is the variety of backgrounds that can contribute to an alcoholism risk, with the possibility that severe impulse-control disorders or the presence of an ANTISOCIAL PERSONALITY disorder in the parents could have been associated with passing on several biological characteristics to some, but certainly not all, children of alcoholics. In this instance, the characteristics described would relate to the associated disorder, such as the antisocial personality disorder, rather than the childhood experiences. In considering these factors, it is also important to remember that a substantial proportion, perhaps a majority, of children of alcoholics never develop alcoholism, are not likely to join ACOA groups, and appear to demonstrate many personality and behavioral characteristics that resemble those of individuals who do not have alcoholic parents. In summary, the term adult children of alcoholics has a variety of meanings. First, biological children of alcoholic parents carry a two-to-four-fold increased risk for alcoholism themselves. 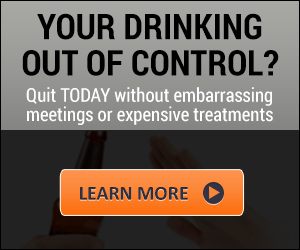 Thus, this designation is an important risk factor for the future development of alcoholism. Second, the abbreviation ACOA relates to a self-help group where a minority of children of alcoholics, especially those who expressed levels of discomfort, have joined together to share experiences and offer support. The third and least meaningful definition of adult children of alcoholics relates to a variety of inadequately studied personality characteristics that might relate to the childhood environment in which an individual was raised, might be a result of additional psychiatric conditions among the parents, might reflect general factors associated with a disordered childhood home but have nothing specifically to do with alcoholism, or might relate to specific alcohol-related experiences in the childhood home. Burk, J. P. & Sher, K. J. (1990). Labeling the child of an alcoholic: Negative stereotyping by mental health professionals and peers. Journal of the Study of Alcohol, 51, 156-163. Dawson, D. A. (1992). The effect of parental alcohol dependence on perceived children's behavior. Journal of Substance Abuse, 4, 329-340. Fisher, G. L., et al. (1992). Characteristics of adult children of alcoholics. Journal ofSubstance Abuse, 4, 27-34. Fulton, A, I. & Yates, W. R. Adult children of alcoholics. Journal of Nervous and Mental Disorders, 178, 505-509. Greenfield, S. F. , et al. (1993). Long-term psychological effects of childhood exposure to parental problem drinking. American Journal of Psychiatry; 150, 608613. Schuckit, M. (1994). Low level of response to alcohol as a predictor of future alcoholism. American Journal of Psychiatry, 151, 184-189. Werner, E. E. (1986). Resilient offspring of alcoholics: A longitudinal study from birth to age 18. Journal of the Study of Alcohol, 47, 34-40. ADVERTISING AND THE ALCOHOL INDUSTRY The beverage alcohol industry includes companies that market beers and brews (malt liquors), wines and sparkling wines (fermented), and distilled spirits—whiskey, vodka, scotch, gin, rum, and flavored liquors. Sales of these products, usually through distributors, are limited to those businesses that have obtained special licenses to sell one or more of the above categories of products. For example, if a restaurant has only a license to serve beer and wine, it cannot serve other types of alcoholic beverages. In the United States, alcoholic beverages and tobacco products are the only consumer goods that are legally restricted for sale only to those who are not minors—at least 21 years of age in the case of alcohol or 18 (19 in three states) in the case of tobacco. Sales to anyone under those ages, respectively, are illegal, yet every day thousands of minors buy beer, wine coolers, cigarettes, and snuff with no questions asked by store clerks or owners. Even if a store refuses to sell to minors, they can usually find a vending machine or ask an older friend to buy for them.